Any Disney fan would love the Tangled popcorn and Rapunzel-themed Tangled movie night we put together. A special popcorn treat, fun crafts, and a great movie are fun for the whole family! This page contains a link to our advertising partner for our favorite popcorn maker, which means I could receive compensation for my recommendations if you make a purchase. To jump straight to the Tangled popcorn movie night recipe, scroll down. But want to see it again. 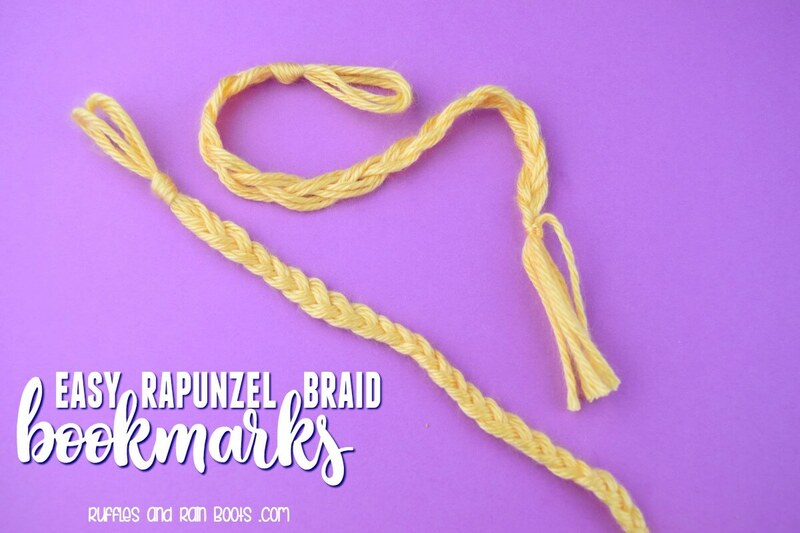 We also made these simple braided yarn Rapunzel hair bookmarks. This is perfect for the section in the movie where Flynn and Rapunzel enter the town near the castle. 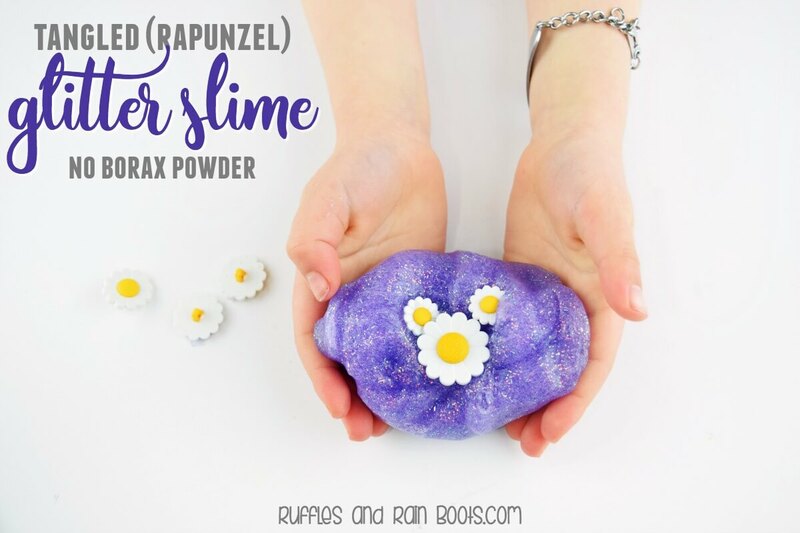 We whipped up a quick batch of glitter slime in true Rapunzel fashion! 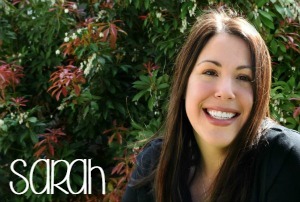 This recipe uses contact lens solution, though you can use a recipe with borax if you’d like. Disney to the rescue when you need a quick party favor! We found these gift boxes and the girls mostly just opened and closed them. The Rapunzel bookmarks made their way into them, as did a few craft jewels. Originally, I planned this movie night with edible flowers added to the popcorn, but everywhere I went was sold out. If you can find some, they would make a wonderful garnish and would likely be a new food experience for the kids. Pop the corn and remove any un-popped kernels (my favorite, inexpensive microwave popcorn maker). Melt a small amount (I used 1/4 cup) of candy melt wafers, careful to go slow and mind the instructions on the bag. Drizzle the candy melts on a single layer of popcorn and add flowers. You can layer popcorn on a sheet pan or tray and do a lot at once. I was only feeding 2 kids, so I did individual bowls. I also chose to go light on the purple candy, but you can thoroughly coat to make it more of a purple-themed Tangled movie night popcorn. This is the best microwave popcorn maker – it takes just 2-minutes and 15-seconds, and I have perfectly popped corn every single time. I only have about 4 or 5 kernels left unpopped! I also like it popped on the stove in a tiny bit of oil, but there’s no denying the microwave version is a bit healthier. Until I add the butter, that is. 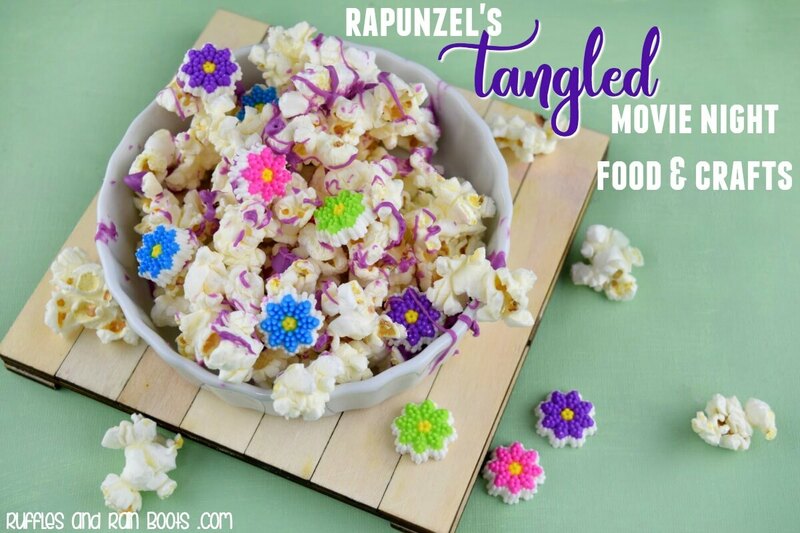 These crafts and this Rapunzel popcorn make for a really fun Tangled movie night. Nothing takes more than a few minutes to prep, so you’ll have a great night, too!